This exhibition marks twenty six days of photographing the Murrumbidgee River and its environs. The Murrumbidgee River has a beauty of its own. It supplies water to a great deal of flora and fauna and has been significant to indigenous people for thousands of years. It has also been tamed and turned to generate electricity and irrigate cropland. Our regular expeditions to the river have given us a greater appreciation of the tensions caused by these different roles. The inspiration for the project was the discovery that it takes a drop of water an average of twenty six days to travel from the headwaters of the Murrumbidgee in the Snowy Mountains of NSW to where it joins the Murray River in Victoria. The time taken overall varies according to the path taken and whether it gets held back or diverted along the way. This parallels our photographic journey; the twenty six days of photographing were non-consecutive and spread over 2013, 2014, 2015 and 2016. 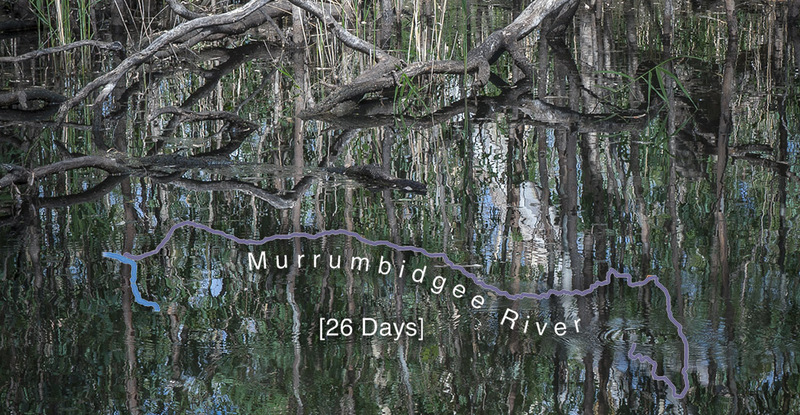 Twenty six days isn’t long enough to know the Murrumbidgee. However, we hope our images further your interest in this river and the issues facing this and all our water courses. You can see a sample of the exhibition's images at the artists' website. Murrumbidgee River [26 Days] is on display at Museum of the Riverina's Historic Council Chambers site from 7 July till 1 October 2017. A catalogue of the exhibition is available for purchase at the Museum for $40.